Animal World Map Wall Decals - fun and entertaining map decals introducing your kids to world map, animals, moving objects like submarine, planes, ships, landmarks and geographical signs like mountains, tropical islands with palms and continents. 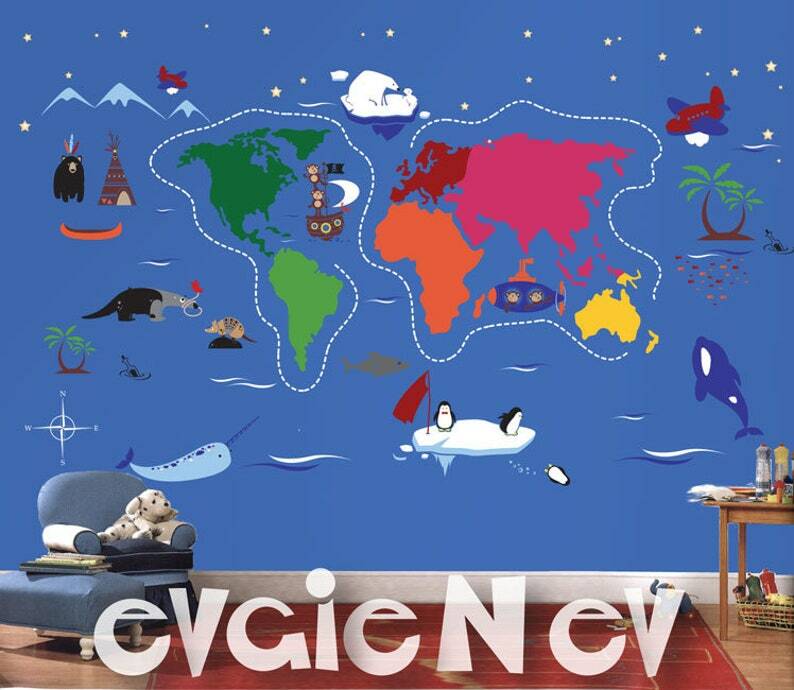 Best way to develop imagination, joy and feeling of adventure while resembling nature with bright eye-catching and educational illustrations, continents names can be added for free. If you like we can replace/add animals from our collections, send us customization request then. Comes with test decal. Removable. If you'd like to change only one certain object to another color but not the other objects that come in that color - there is a small set up fee.